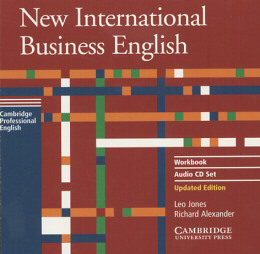 New International Business English is redesigned to make it even more accessible and relevant to people who need to use English in their day-to-day work. Essential business tasks are approached systematically and each unit cover the basic skills needed in business. Fifteen topic-based units cover a wide range of business situations with frequent opportunity for discussion and thorough vocabulary development thorough course. aims,design and principles of the course.through improvisations around the business themes.